Abraham Lincoln is one of America’s most famous presidents. He was our 16th president and served from March of 1861 until his assassination on April 15th, 1865. He led the United States through the Civil War and its greatest moral, constitutional and political crisis ever in history. He won the war which kept our country unified and abolished slavery. This in turn strengthened our federal government as well as the economy. He was born on February 12th, 1809 and grew up in the western frontier of Kentucky and Indiana. He was self-educated and became a lawyer in Illinois. He was a Whig Party leader and a member of the Illinois House of Representatives. He served as an Illinois Representative from 1834 to 1846. 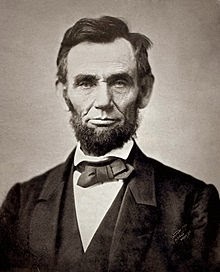 In 1846 Lincoln was elected into the United States House of Representatives. He promoted modernization of our economy through railroads, tariffs and banks. He was opposed to the Mexican-American Was which was not very popular among Illinois voters, so he did not return for a second term in Congress. Therefore he returned to Springfield and had a successful law practice. Lincoln reentered politics in 1854 and he became a leader in building a new Republican Party, which was quite popular among Illinois voters. During a debate with a Democrat by the name of Stephen A. Douglas, he spoke out against the expansion of slavery, but lost in the U.S. Senate race. 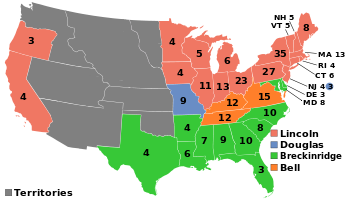 Lincoln dominated votes in the North and was elected president in 1860. His election caused seven southern slave states to form the Confederate States of America before he was sworn into office. The Confederate States of America attacked Fort Sumter on April 12th, 1861 and that caused the North to rally behind the Union. Lincoln focused on the military and political aspects of the war. His main goal was to reunite the nation. 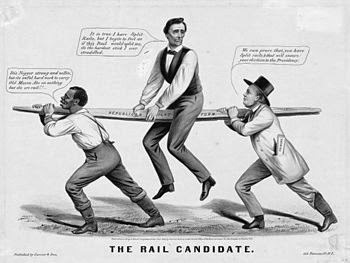 Lincoln suspended and arrested anyone accused of hindering the war efforts by blocking troop trains. 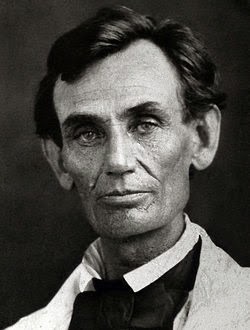 Lincoln centered his efforts on the Emancipation Proclamation of 1863. He used the U.S. Army to protect slaves that had escaped to the North. He also encouraged all states to abolish slavery. He heavily pushed the Thirteenth Amendment to the United States Constitution, which permanently outlawed slavery. Lincoln tightly supervised the war effort, including the selection of top generals, one of which is quite popular: Ulysses S. Grant. He also made all major decisions on the strategy of the Union. One example is the naval blockade that shut down the South’s trade. He also made moves that took control of Kentucky and Tennessee and used gunboats to gain control of the southern river system. Lincoln tried repeatedly to capture the Confederate Captain at Richmond. Grant finally did it in 1865. Six days after the surrender of the Confederate commanding General Robert E. Lee, Lincoln was assassinated by John Wilkes Booth, who was a Confederate supporter. Lincoln is considered one of our three greatest U.S. Presidents to this day.